Fans of Evangelion is going to dig this. 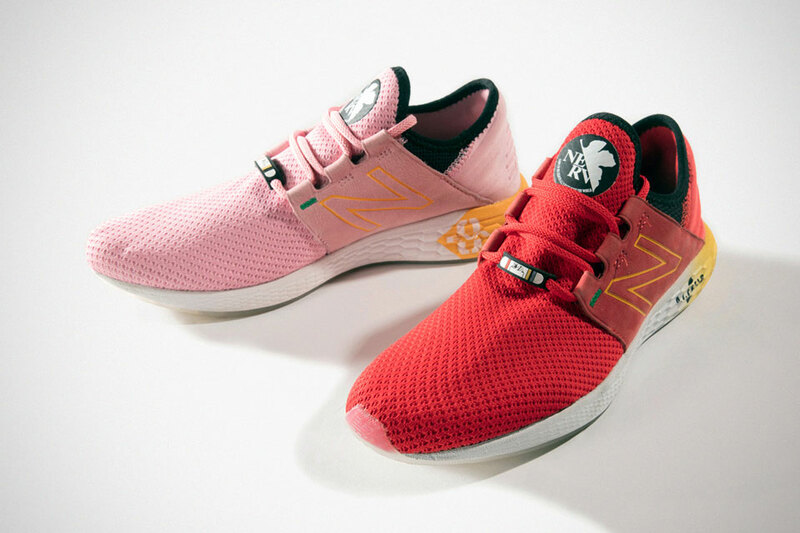 New Balance Japan has announced a collaborative sneakers collection with the cult mecha anime. Yes! It is happening… again! And boy, are those shoes looking super dope! I am totally all over even though I know very well I wouldn’t be able to get my hands on them. I am happy for those who can. Anyways, Evangelion has partnered with Japanese retailer GU to out Evangelion-inspired kicks based on New Balance Fresh Foam Cruz. 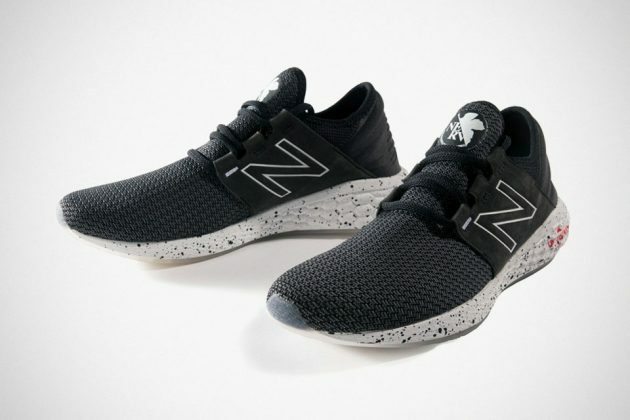 The silhouettes need no introduction, but you insist, it is, well, is among one of the most likeable New Balance sneakers that is both minimal and classy. It provides a good canvas for Evangelion colors. All together there are three pairs, with each pair named after the anime’s reference to Earth collision with alien objects, namely, First Impact, Second Impact and Third Impact. 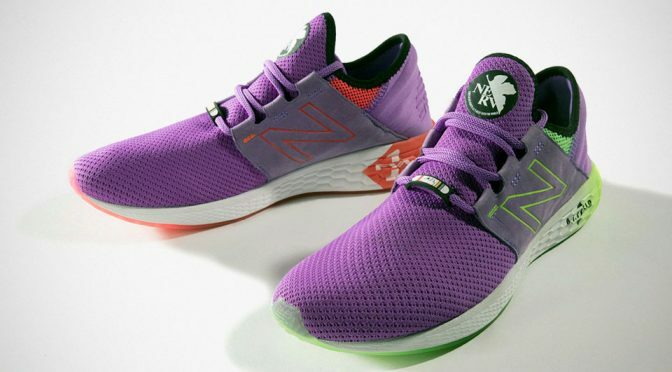 First Impact, Fresh Foam Cruz YF2, drew its inspiration from Evangelion Unit-01 and it features a slight design variation between the left and right shoes. The left sports a white outsole with green accent and green outlined New Balance branding to represent the Eva-01 before the awakening while the right shoe sports a red accent, paired with red outlined NB logo is after the awakening. Second Impact (Fresh Foam Cruz YS2), on the other hand, is even more unique. It combines Asuka’s Unit-02 and Mari’s (AKA the Fourth Child) Unit-08. We don’t read Japanese, but based on the badly translated text, it reads like YS2 is in support of the upcoming Evangelion movie. 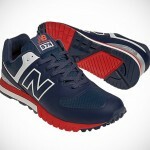 What makes the Second Impact stands is that each foot is of a different colorway. The left foot is in Unit-02 colorway, while the right foot is in Unit-08’s colorway. Seriously, how cool is that? Finally, there is the Third Impact (Fresh Foam Cruz YT2) which is a reference to Evangelion secret operating division, NERV. It is not as loud and IMHO, less indicative of its relation to Evangelion. It does have the NERV motif on its tongue like the other two pairs, but that’s really about it. It features a predominantly black colorway paired to white outsoles with black splatter pattern. It is the most mundane pair if you ask me. 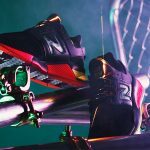 New Balance x Evangelion Fresh Foam Cruz Sneakers will drop this October 12 in Japan, priced at 12,000 Yen (approximately US$106) plus tax a pair. Apparently, pre-order has started since October 04, 2018 at Evangelion Store.